"They listen to us, it is appreciated"
We received very good service when we bought our new 2014 Acura RDX. Employees at Acura Brossard are listening to us, it is appreciated. Financing or Leasing: What's Best for You? 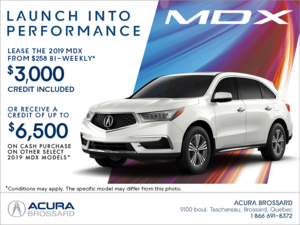 Acura Brossard exceeds expectations !